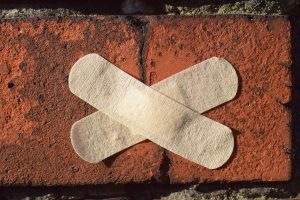 How a Property Damage Attorney Can Save You Thousands - Portuondo Law Firm, P.A. Practically every insurance agent will tell you that you need to contact them immediately whenever you have any sort of property damage. This is intended to make you feel like they want to be there to help you through a difficult experience. The reality, however, is that your agent is associated with the insurance company and may not always be loyal to you. Dealing with an insurance company can be a very frustrating experience. While handling your claim is just a routine task for the adjuster and other insurer employees, it can be a major event for you. If you don’t get the answers you need and the money you are owed, it could cause you problems for years to come. Allowing an attorney to handle the claim on your behalf will help remove emotion from the situation so he or she can focus on getting you the best payout possible. An attorney will know what types of evidence the insurance company will need in order to approve a fair payout on a property damage claim. If you have an attorney working on your behalf from the beginning, they can take steps to preserve evidence and ensure the insurance company has all the information they need right away. An experienced property attorney will also know how to ethically present evidence in a light most favorable to your claim. Insurance companies hire people whose primary job is to talk to clients and get them to accept as low of a settlement as possible. While your insurance adjuster may seem nice and helpful, their role is to get you to accept a low offer. It is important to remember that every communication you have with the insurance company is likely being recorded. Much like a criminal case, everything you say can and will be held against you. When you have an attorney on your side, you have effectively leveled the playing field since you now have a skilled negotiator on your team working to maximize the payout. We will communicate with the insurance company and relieve you of that burden. While most property damage claims are handled without any legal action, sometimes it becomes necessary to sue the insurance company in order to obtain the payment for which you are entitled. When this is the case, it is extremely helpful to have an attorney who is familiar with the situation and can really hit the ground running when taking legal action. 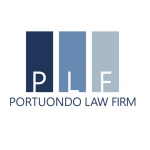 At Portuondo Law Firm, we set ourselves apart by handling claims from the start. Most property damage attorneys will only come in when it is time to file suit. This means a non-attorney will handle your claim pre-suit and will likely not understand the consequences of his or her actions which could affect your case if it ends up in litigation. With Portuondo Law Firm, you know your claim is being handled correctly from the moment we come on board. If you have incurred property damage at your residential or business property, please contact us to discuss your situation today.